The news is out on the January kit, so be sure your subscription is up to date NOW, in case this one sells out before the January 10th deadline. 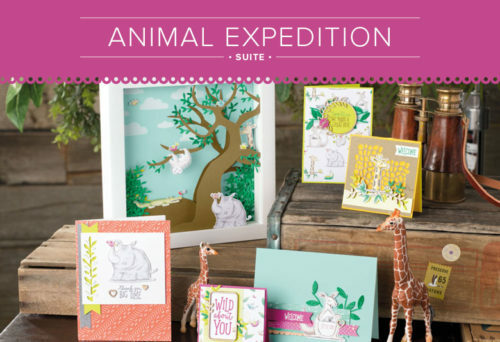 I have a feeling that with the Valentine’s Day theme, and coordination with the popular Animal Expedition Suite from the Annual Catalog, this is another winner. These will be treat holders, so if you are a card fan, you can surely find some fun use for these cute critters on cards too. 1. Be sure your subscription for Paper Pumpkin has been activated NOW, just in case it sells out early. 2. 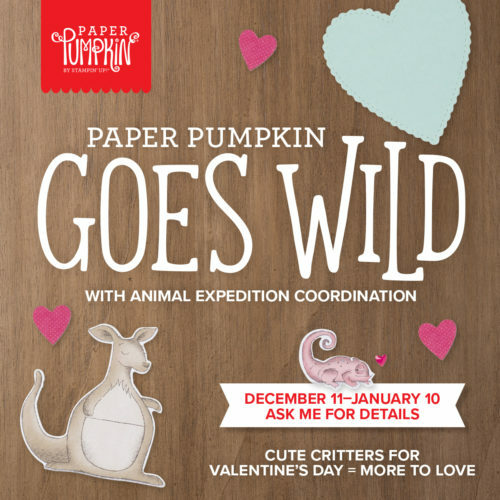 On January 3 (or sometime before Jan. 10), purchase a prepaid subscription to Paper Pumpkin. Because this is Sale-A-Bration (SAB) time, you can earn extra freebies, depending on whether you purchase a 3, or 12 month subscription. 4. You also get a discount on a 6 and 12 month! 5. And…Why not make it a qualifying party, and get the extra $25 host benefits during Sale-A-Bration too! 6. Purchase some of the Animal Expedition Suite products at the same time as your subscription to stretch your kit even further. 7. IMPORTANT: Before Jan. 10th, be sure to enter your prepaid subscription code that you got by email into the payment profile of your Paper Pumpkin account. 8. Become a demonstrator Jan. 3 and get an extra $50 in free product. Plus the demo discount when you then order your prepaid subscription. Plus, demonstrators can earn extra free product during Sale-A-Bration based on your sales. Oh my, I get so excited just thinking about all the double dipping (or is that triple or quadruple dipping) going on in January! 9. If you want more than 1 kit each month, you can always increase the number you receive in your profile. (Although only one subscription code can be entered at a time). OR, here’s a sneaky, but perfectly legitimate way to get 2 – just set up another Paper Pumpkin account with a different email address! Purchase a second prepaid subscription during SAB. 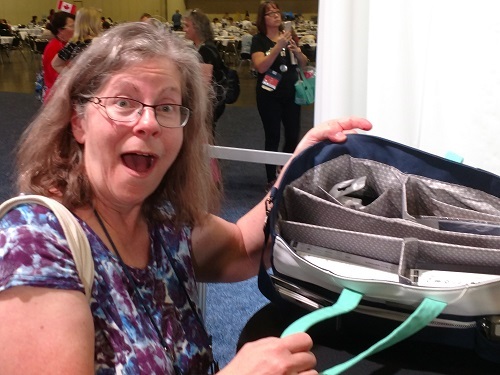 That way you can get 2 kits each month and double your SAB goodies. That’s what I do each year. Anyways… if you have any questions, please contact me. I’ve been a demonstrator for 20 years and I like to help my team get all the information you need to make the best crafting and business decisions for you. We have our own Facebook group, weekly email and free access to all my ClassCard pdfs. Consider joining our Stampers To Remember Team on January 3. There is a special tote bag available to new demonstrators starting January 3. It’s only available while supplies last, so I wouldn’t wait long to decide. The demonstrator starter kit just may be your best Christmas gift ever!